Ready-built models and O/OO gauge kits for a selection of road transport. Includes products from ABS Models, Corgi, Lledo and Matchbox. 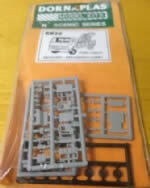 This is a kit by an A B S Models of a OO Gauge: L.C.C. Open Top Tramcar. This is an OO Gauge model and part of the Streetscene Series. A scanned copy of the box is shown for your information. 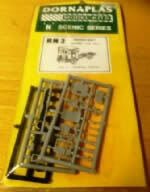 This is an OO Gauge kit by A B S Models and is an OO Gauge: L.C.C. Snowplough of 1930. It is part of the Streetscene Series. A scanned image of the box is shown for your information. 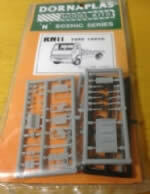 This is an OO Gauge kit by A B S Models of a L.T. STL Central Area Bus. It is part of the Streetscene Series. A scanned image of the box is shown for your information. An OO Gauge kit by A B S Models of a London Transport (Ex LCC) Snowbroom vehicle. This is part of the Streetscene series. A scanned image of the box is shown for your information. OO Gauge kit by A B S Models of a Leeds, ex Hull, Works Car - No 6 (ex No 96). This kit is part of the Streetscene series. A scanned image of the box is shown for your information. OO Gauge kit by A B S Models of a London Transport STL Country Area Bus. This is part of the Streetscene series. A scanned image of the box is shown for your information. A B S Models: OO Gauge: London Transport 10T10 Type "Greenline"
OO Gauge model kit by A B S Models of a London Transport 10T10 Type Greenline bus. This is part of the Streetscene series. A scanned image of the box is shaown for your information. Donaplas: N Gauge: Ford Cargo Box Van. This plastic kit is part of the Dornaplas Scenic Series. An image of the product is shown for your information. Donaplas: N Gauge: Ford Cargo Flat Bed Lorry. This plastic kit is part of the Dornaplas Scenic Series. An image of the product is shown for your information. Donaplas: N Gauge: Ford Cargo High Sided Grain Lorry. This plastic kit is part of the Dornaplas Scenic Series. An image is shown for your information. 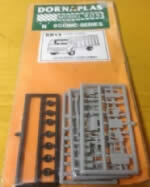 Donaplas: N Gauge: Ford Cargo Recovery/Breakdown Lorry. This plastic kit is part of the Dornaplas Scenic Series. An image is shown for your information. Donaplas: N Gauge: T'Croft Dropside Lorry Dornaplas RN4 Thornycroft A1 Dropside Lorry 1930-50. This plastic kit is part of the Dornaplas Scenic Series. An image is shown for your information. Donaplas: N Gauge: T'Croft Flatbed Lorry. Dornaplas RN1 Thornycroft A1 Flatbed Lorry 1930-50. This plastic kit is part of the Dornaplas Scenic Series. An image is shown for your information.